In this day and age, chemicals are everywhere. It's easier than ever to get turned around with so many confusing names of foreign-sounding words. One such manmade concoction: fipronil. But what is this chemical exactly, and how can you use it properly? Keep reading our full-length guide below to find out. When Should You Consider Using A Fipronil-Based Product? Is Fipronil Dangerous To Humans? Is Fipronil Dangerous To Cats? Is Fipronil Dangerous To Dogs? What Does The Government Think About Fipronil? At its core, fipronil is an insecticide belonging to a family of chemicals called phenylpyrazoles. Essentially, the name of this chemical family is a fancy way of indicating the way that fipronil takes effect on the insect or swarm of pests it encounters, but we'll get to that in the section below. Fipronil itself is a powder that's white in color and gives off a distinctive musty odor. Here's where it comes in pretty handy: fipronil acts as a blockade for an insect's nerve receptors. Once an insect comes into contact with fipronil (whether it's via ingestion or topical contact), the chemical disperses through the pest's body, where it works to block the responses of its central nervous system. Without a working central nervous system, the insect can no longer function properly, and is led to death. Chances are that this isn't the first time you've ever heard of our pal fipronil. It's pretty widely-used in several different pest control products, and we've listed a few of the most common here. This is probably the first thing people think of when they hear or read "fipronil," simply because it's the most common exposure they've had to this chemical. If you've got a dog or a cat, you've probably had to go shopping around for flea and tick protection. And, more than likely, you've probably run across the term "fipronil" once or twice during that search. This is because fipronil is normally a key component of flea and tick collars for household pets, used in most name-brand collars and topical treatments to ward off parasites. 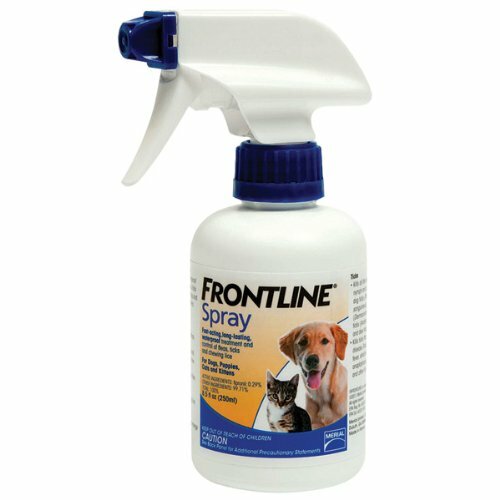 Frontline is the most popular brand of flea and tick medication for dogs and cats with the active ingredient fipronil, and it's recommended most by vets. 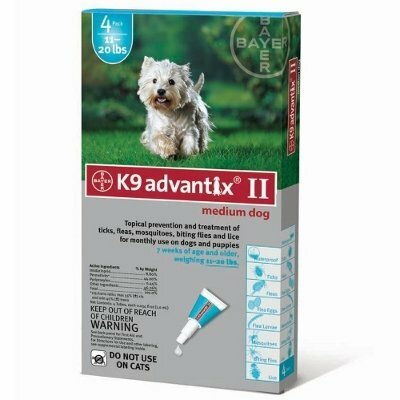 This is a topical treatment you can give your pet which offers three months of protection against parasitic bites. To see how fipronil works in Frontline and Frontline Plus, take a look at the video below. At the first sign of termites, most people pick up the phone and dial an experienced termite professional as soon as possible, and for good reason. Termites will eat right through the wooden structures of your home, and the sooner you seek professional help, the more you can minimize the damage. However, this means that you're probably not paying attention to the termiticide spray being doused through your home. This stuff can contain fipronil as an active ingredient, so you may already have some in your home without even realizing it! When you have an ant problem, more often than not, you're going to need to look for a type of bait to lure in these catastrophic colonizers. There are a multitude of solutions out there (some definitely wackier than others), but there's one tried-and-true method which works because it contains fipronil as its active ingredient: ant bait gels. These sticky gels are full of the poison, and lure in the ants which, in turn, eat the gel and fall victim to the fipronil inside. 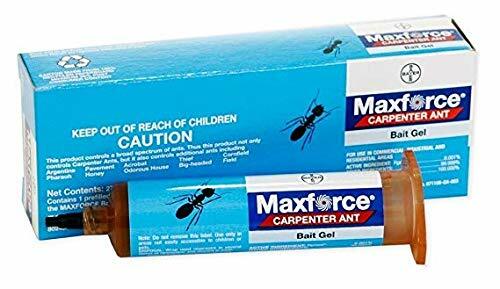 One bait gel that we can recommend is Maxforce Carpenter Ant Bait Gel. The active ingredient is, of course, fipronil, and we really like this gel because it not only lures in ground ants (the "regular ants" you'd see in trails along the sidewalk), but flying, wood-boring carpenter ants as well. If you find yourself in any of the situations listed above, fipronil is a good idea. To keep it simple, fipronil is an insecticide which targets insects, selectively killing off the pests and doing little to no damage to humans and animals which happen to cross its path. As mentioned above, fipronil targets the nervous system of insects. Fipronil's efficacy toward mammals is not as potent, which makes it an ideal pest control agent in several circumstances. However, this doesn't mean that mammals are totally immune to the effects of fipronil. Check out how this chemical effects people in the detailed sections below. If you have undergone a topical exposure to fipronil, you may notice a slight rash or irritation on your skin. A study conducted on rats demonstrated the long-term effects of exposure to fipronil. This study concluded that after many years of exposure, it was possible that a female rat could give birth to a litter of rats with birth defects as a result of the fipronil. However, these results were not set in stone—it was shown that there was only a possibility that fipronil could cause these birth defects, and only after a prolonged period of exposure. Fipronil Exposure To Babies and Toddlers? Because young children and babies have much smaller bodies than adults, they will always be more susceptible to the adverse effects of pesticides. Despite this fact, however, there's no scientific or medical evidence to support that fipronil is any more harmful to a baby or toddler than it is to their parents, according to the National Pesticide Information Center. If you've got a feline friend roaming around, you're probably wondering whether this chemical can be used in and around your home. In fact, not only is fipronil not considered dangerous for cats, but it's actually the go-to product when cats have fleas! Flea and Tick Treatment Drops. These pouches of medicine are marketed to keep your cat tick- and flea-free, easing the discomfort of these itchy, biting parasites. Though they can have a few different types of active ingredients (depending on the brand), some brands like Frontline and Frontline Plus prefer to use fipronil exclusively as their active ingredient. 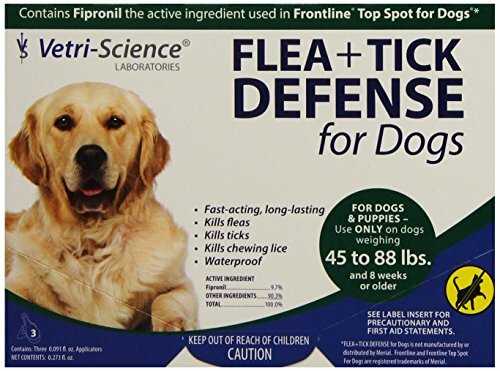 Flea and Tick Treatment Spray. This is another type of treatment that you can use on your cat against fleas and ticks. It's less expensive than a full six-month set of treatment drops, which is what makes it a more attractive purchase for those looking to save a few bucks. Like treatment drops, there can be different active ingredients based on the brand name, but fipronil is usually a front-runner. When exposed to too much fipronil, some cats suffer from skin irritation, just like humans. If you notice that areas of your cat's body look irritated or inflamed, make sure to take your cat to the vet for a professional opinion. If exposure is prolonged and constant, the cat may suffer from seizures and potential death. However, this is highly preventable, as the skin irritation is the first indicator of a problem, and it present itself years before any serious health conditions occur. So, we've covered cats...but what if you've got another kind of furry friend under your roof? Fipronil is used just as much in dog flea and tick treatments as it is for cat medications. Flea and Tick Treatment Drops. Just like flea and tick drops for cats, these medicinal packets are used to fight parasites that nest in your dog's fur and on its skin. The big name brands for these are Frontline (as we mentioned earlier) and K9 Advantix, pictured here. Flea and Tick Treatment Spray. Here's another budget option for dog owners that might want to save some money on parasite protection. The spray can have a few different types of active ingredients, depending on the brand name, and fipronil is one of the usual suspects. Flea Collars for Dogs. Most dog owners (and even those who don't own a dog!) have heard of a flea collar: a device designed to keep the fleas and ticks off your pup for the long term, no extra legwork involved. The fipronil is contained inside the collar, and is released over time to kill the parasites that are nesting on your dog. Read Also: What are the best flea collars for dogs? As with cats and humans, dogs that have been exposed to an abundance of fipronil can be subject to skin irritation and soreness. If you notice a rash on your dog's skin, seek veterinary attention immediately for a professional opinion. If this chemical is so widely used in keeping our pets flea-free, it has to be approved by the federal government, right? Check out what two of the biggest government branches think about this chemical in the sections below. Fipronil was first registered as a pest control chemical with the United States Environmental Protection Agency (EPA) on June 17, 1985. It's currently recognized as a Conventional Chemical and meets all standards as a pest control substance. It is registered with the Chemical Abstract Service and recognized worldwide based on this registration number. The Centers for Disease Control (CDC) conducted a study in 2013 using sealed boxes with wicks saturated in fipronil hanging inside. The goal of this study was to lure mice into the boxes, and have the mice pass under the wick, soaking a small bit of their fur in fipronil. Afterward, the CDC aimed to test whether or not ticks in the fur of the mice were killed by the fipronil. While the results of the study have not yet been published as of this article's writing, one can infer that by the CDC using fipronil over any other sort of insecticide, it's a preferred method of pest control in the eyes of the organization. At this point, you're probably wondering what separates fipronil from some of the other big-name active ingredients out there, right? Check out the contrasts below to see how these bug-killers stack up against one another. Etofenprox is another type of insecticide, and it also sends an insect's nervous system into overdrive. It differs from fipronil, however, in that etofenprox is derived from the pyrethoid family of chemical compounds, rather than phenylpyrazoles. This means that it has a different layout at the chemical level, and reacts in an insect slightly differently (albeit to achieve the same end result). Though these two insecticides carry out the same goal (to shut down the insect's central nervous system), they achieve it in different ways. Fipronil works to attack the GABA channels of the nervous system, causing "excessive neural excitation, severe paralysis, and insect death." Permethrin, however, not only acts as a paralyzing agent but also as a stomach poison in the affected insect, leading to a swift death. Imadacloprid, one of the primary ingredients in flea collars for dogs as well as flea and tick drops for both dogs and cats, is often confused with fipronil and used interchangeably (e.g., the popular Seresto collars use Imidacloprid). However, this is an irresponsible way of thinking, because the way imadacloprid works is a bit different. Instead of simply exciting the insect and causing paralysis, this chemical essentially fires the nervous system until it gives out. Indoxacarb is a fairly new player to the pest control game, developed by DuPont and registered with the EPA in 2007. The efficacy of indoxacarb rests in its ability to block an insect's sodium channels in its nerves. What does this mean for all the non-scientists out there? Basically, the nerve cells can't get the sodium they need, and they give out. Without the nerve function, an insect becomes paralyzed, and eventually dies. Each insect nerve cell is equipped with a "gate" through which to transmit movement information to the rest of the insect's body. Bifenthren works to interfere with this gate, slamming it open and interrupting the information signals to hijack the insect's nerve system. This leads to paralysis and, eventually, death. Hydromethlynon is a very low toxicity insecticide that works in insect nerve cells by interrupting the production of energy in their bodies. Rather than working via topical contact (such as with other insecticides on this list), hydromethlynon is a little different in that it can only be effective when ingested by a pest. It works slowly, but this is actually a benefit; by utilizing a slow-acting pesticide, insects like termites and ants can take a bite out of this stuff and share it with their entire colony—effectively poisoning every last insect. 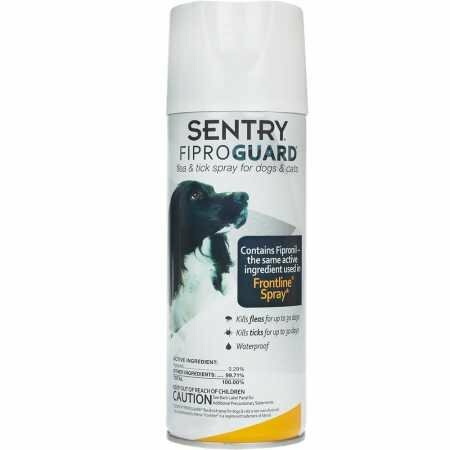 As you can see, fipronil is one of the major players in the pest control big leagues, particularly when it comes to controlling those small-bodied yet huge irritations like fleas and ticks. Because of this chemical's composition, fipronil's adverse effects on humans and pets are minimal at the worse, and most likely nonexistent. In fact, fipronil is much more of a friend than a foe: it's used as the active ingredient in several different pet products to control the spread of fleas and ticks. If you're looking for a way to safely manage pests in and around your home, fleas and ticks on your pet, or just looking to get the scoop on this chemical, we've laid it all out for you here on Pest Strategies. Curious about other guides related to pest control chemicals? Check out our other detailed guides to help you deal with your pest problems.